We know that voice search is on the rise and that voice searches by services such as Google, Apple and Amazon are becoming more and more popular. If you have ever used one of these services then you know that they are prone to error. I personally use Siri and often times Siri cuts off my query or does not hear the beginning so I have to repeat myself. By chance I came across an error in Google’s search results on my mobile browser. 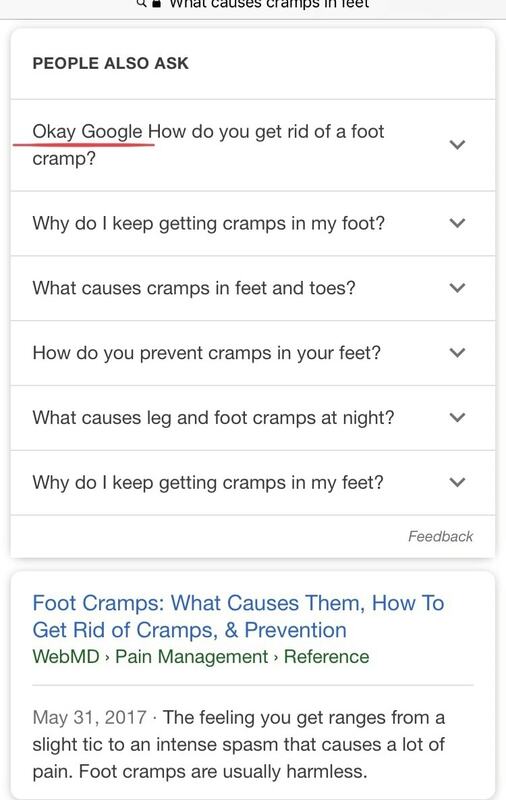 Under the People Also Ask suggestions, Google included a query that says “Okay Google How do you get rid of a foot cramp?“. Good stuff.